My adult daughter, who has spent much time in cold climates and traveling to different cities during the past year, has provided her heartfelt endorsements of two products that she considers her best discoveries during 2013. You may also find these items helpful during your travels. 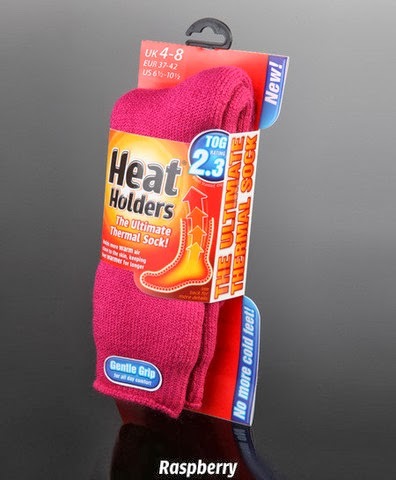 Here’s the story: Heat Holders were invented in 2008 by a British company. Although the company had been working with yarns since 1947, they were on a mission to create the warmest, most comfortable sock possible. Loyal customers like my daughter believe they succeeded. In addition to black and gray, the socks come in fun colors like fuschia, indigo, pink, purple, and raspberry. You can also choose colorful striped versions. Men’s socks come in eight colors (including red! ), and socks for bigger kids come in 12 cheerful colors. Adult Heat Holders sell for $15.99 per pair, but my daughter says they are worth every penny and hold up well when washed, too. “This is one of the best products I have seen this year," she says. Fall asleep easily: “For travel, I never leave home without SleepPhones” my daughter adds. SleepPhones are an ingenious invention--comfortable headphones in a soft, padded headband that contains thin removable speakers. You can play any type of music, audiobooks, meditation, or white noise by plugging into any audio device with a standard headphone jack—CD player, iPod, or MP3 player. Nothing sticks into your ears (so there’s nothing to fall out), and there are no bulky earphones to poke side sleepers in the face. The cover is lightweight, washable, and hypoallergenic. 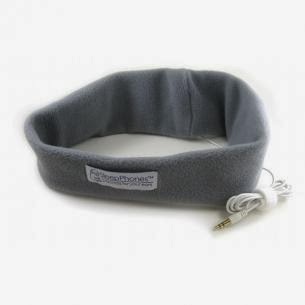 SleepPhones help block snoring, unfamiliar road sounds, or noisy hotel guests. The headband can double as a sleep mask if pulled down over eyes, and it can be worn with the wire in front or back. There’s even a wireless version for total portability and a version for runners. The basic version sells for $39.95, and the headband comes in three sizes and three colors. In addition to bedtime, many people use them on airplanes or when engaged in outdoor activities.